UCLA International Institute, December 18, 2014 — A native of Moscow, Olga Kagan received an MA from the Moscow Pedagogical Institute and a PhD from the Pushkin Russian Language Institute. Although she began her career teaching English, she switched to teaching Russian when she moved to the United States in 1976 — a foreign language in both cases. Surprisingly, Kagan had no trouble acclimating to life in America. “It seemed the right place for me from the very beginning,” she says. Initially hired by UC Riverside, where she taught for five years, she moved to UCLA in 1981 and has been whirlwind of productivity ever since. Kagan is presently professor, undergraduate advisor and director of language programs in the UCLA Department of Slavic, East European, and Eurasian Languages and Cultures. For a number of years she was also on the faculty of the Applied Linguistics Department (now sadly dissolved), where she was on committees for several graduate students writing dissertations on heritage languages. Last year, for example, she co-chaired the dissertations of Shushan Karepatian on Armenians in Los Angeles and of Larisa Karkafi on Russian heritage speakers. 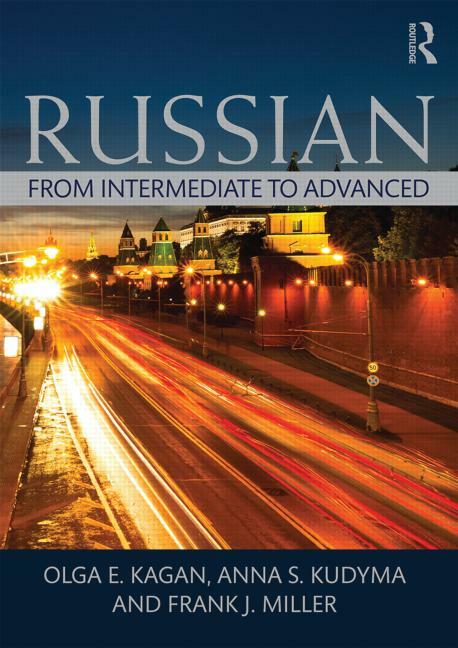 Over the years, the UCLA professor has become an expert in the pedagogy of teaching both Russian as a second language (six textbooks) and as a heritage language (four textbooks). She is, in fact, widely recognized by her peers as a leader in the pedagogy of heritage languages — that is, languages that children of immigrant families grow up speaking at home, but in which they cannot read and write. Kagan also directs two language centers at the UCLA International Institute (the Center for World Languages and the National Heritage Language Resource Center, or NHLRC) and is in charge of UCLA’s Russian Flagship Program. UCLA was first funded for the NHLRC in 2006 to develop effective approaches to teaching heritage language learners by developing a research base, curriculum design, teaching materials and teacher education. Currently one of 16 Language Resource Centers nationwide and the only center to focus solely on heritage languages, the NHLRC has successfully secured funding from the Title VI Program of the U.S. Department of Education three times in succession (the recent funding cycle is for 2014–18). Last but not least, Kagan is also a seasoned program evaluator, having participated in roughly a dozen reviews of foreign language departments and study abroad programs of universities across the United States. Although the work load associated with such reviews is substantial, she considers it an honor to be invited to conduct such reviews. At the heart of all Kagan’s work is a deep love of teaching. ”I enjoy teaching because of its interactive nature,” she comments. “It’s fun anticipating students’ questions, but also to have to answer unanticipated questions. . . . Every class is different and you have to prepare anew every time and almost reinvent yourself when in class. That’s what I enjoy!” she adds. Her gifts as a teacher have not gone unnoticed: Kagan has been commended by her peers four times during her career. On January 10, 2015, she will receive her latest and most prestigious commendation — the 2014 Award for Distinguished Service to the Profession of the Association of Departments of Foreign Languages (ADFL) — in Vancouver at the 130th annual convention of the Modern Language Association. Created in 1994, the ADFL award recognizes eminent scholar-teachers in the field of language and literature teaching. A special session of the MLA conference will be held in Kagan’s honor on the day of the award ceremony, at which the Language Materials Project of the UCLA Center for World Languages will also receive an award (for best bibliography, archive or digital project for the 2012–13 period). Kagan previously received several awards from the American Association of Teachers of Slavic and East European Languages: Best Contribution to Pedagogy (2001), Excellence in Teaching at the Post-Secondary Level (2003) and Best Contribution to Pedagogy (2004). 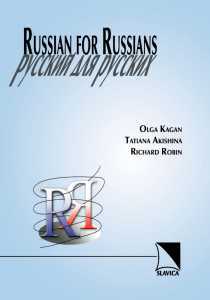 By the time Kagan wrote “Russian for Russians: A Textbook for Heritage Speakers” (with Tatiana Akishina and Richard Robin; Slavica, 2003), she had already co-authored three textbooks for non-heritage speakers. She has since published four additional co-authored textbooks for the latter group, and three more for heritage speakers (two of them for high school students). Her most recent titles in the two categories are “Russian: From Intermediate to Advanced” (with Anna Kudyma and Frank Miller; Routledge, 2014) and “Writing in Russian for Russian Heritage Speakers” (with Anna Kudyma; Zlatoust/St. Petersburg, 2011). The latter text was specifically created for Russian heritage speakers born in the United States who, says Kagan, have a weaker foundation in Russian and need a different curriculum. She enjoys writing texts for different types of students, as well as the collaboration involved. “That’s what I enjoy most — the intellectual challenge of ‘sparring’ with my co-author(s) and finding a mutually acceptable solution,” she says. The UCLA Russian-language professor first became interested in heritage language teaching at the end of the 1990s, when more and more students began to turn up in her classroom who, she explains, “either went to school in Russia for a few years or came as young children and could speak some Russian, but were not literate. In fact, a 2007–09 survey conducted by the NHLRC revealed that most heritage language learners wanted to learn more about their cultural and linguistic roots, as well as to better communicate with relatives in the United States who didn’t speak English well. The NHLRC allows Kagan to bring colleagues together from across the country and the world to collaborate on improving heritage language teaching and learning, as well as to discuss the latest research in the field. 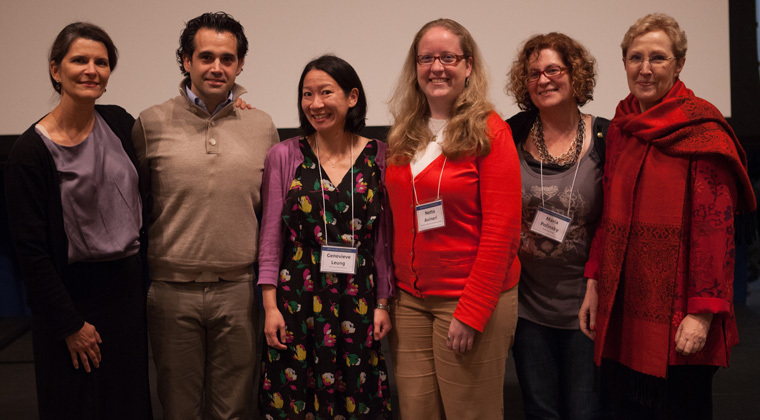 Attendees at the center’s conferences and workshops include researchers, as well as language teachers who work in high schools, community language schools and universities. NHLRC co-directors and participants at the "Second NHLRC Conference on Heritage/ Community Languages. Despite the variety of languages involved — NHLRC meetings constitute a virtual United Nations of linguists and language teachers — Kagan says the issues are much the same across heritage languages. Those similarities have enabled heritage teachers to develop common pedagogical approaches. Kagan has repeatedly argued that teaching heritage languages promotes bilingualism in the United States (a famously monolingual country), helping its students to become more competitive in today’s global economy. In an era of mass migration that is transforming major metropolises worldwide, bringing heritage speakers to proficiency in their “home” language also promotes academic achievement in general. Studies of children in bilingual dual immersion programs in the United States, for example, show that they have higher academic achievement over time than their peers. Finally, heritage language speakers are a natural source of workers proficient in less-commonly-taught languages. Those languages are deemed critical by the U.S. federal government, but are typically not taught in American high schools or even universities. Despite the rapid development of heritage language research and pedagogy over the last 15 years, Kagan says educational systems have been slow to adapt. “I’d been hoping for more changes by now,” she remarks. “Heritage language education has become a new field of research,” she says, “but more needs to be done: more textbooks in all heritage languages, more curricular changes.” Still, she is the first person to admit that teaching heritage language speakers is a continuous work in progress, as immigrant generations change and new immigrants arrive. Never one to rest on her laurels, she already has new research and pedagogical ideas and is planning to write another Russian textbook, one that is content based and focused on art. And then there is the volume of articles on heritage language teaching worldwide that she is co-editing with NHLRC colleagues Maria Carreira and Claire Chik. If you find yourself a bit dizzy trying to follow her vortex of activity, you are not alone! Read Professor Kagan's Op-Ed piece in the Los Angeles Times advocating the teaching of heritage languages in our public schools.